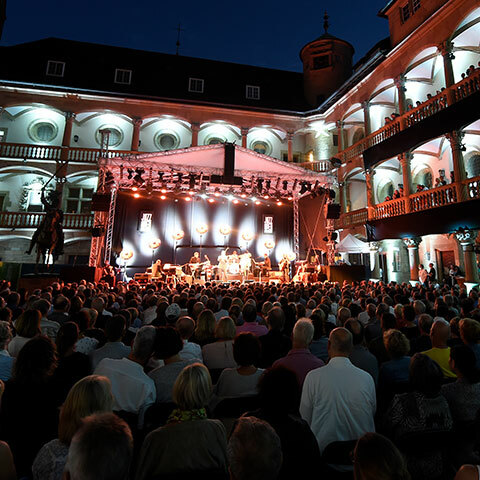 In the past 25 years the jazzopen have become one of the most attractive festivals in Germany and are now among the most important jazz festivals in the world. 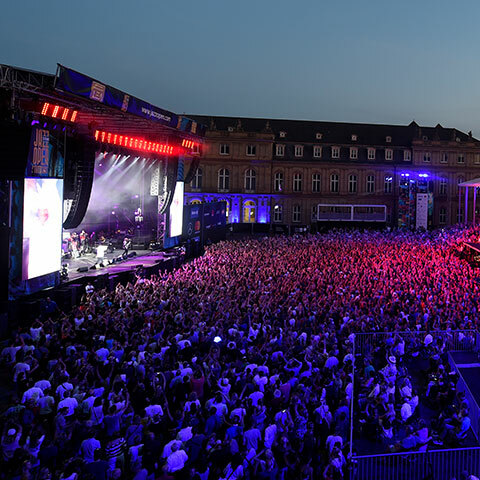 For the 26th time, this year, the festival will be presenting artists of the international jazz, blues, soul and pop scene under the theme "Be Jazz Be Open" from July 4th to 14th, turning the state capital of Baden-Württemberg into a hotspot for music fans. amazing festival for the third year. Over 50 acts in eleven days on seven stages with approx. 50.000 visitors! From the 4th to the 14th of July jazzopen stuttgart presents for the 26th time international jazz, blues, soul and pop artists under the theme "Be Jazz Be Open". 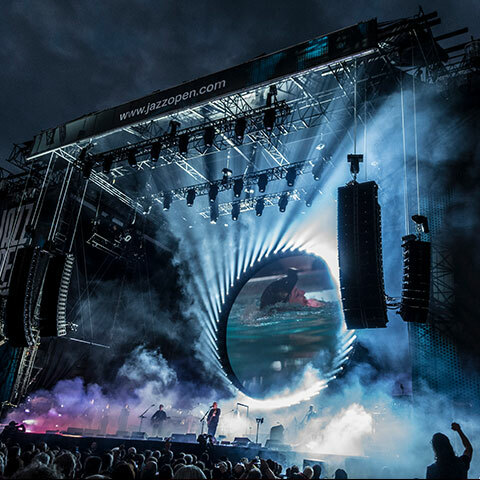 Get one of the tickets for this year’s festival and experience outstanding artists and a summerly festival atmosphere in the capital of Baden-Württemberg. Save yourself an exclusive Shopping-Pass with -10%* discount in the OUTLETCITY METZINGEN. Just simply mention the promotion code "jazzopen 2019" in the Tourist Information in Metzingen. Over the past 25 years, jazzopen has become not only one of the most attractive festivals in Germany but now also one of the most important international jazz festivals. The festival motto for this year is: “Be Jazz, be Open” and for the 26th time from 4-14 July the festival will be presenting international stars of jazz, blues and pop, with an expected 50,000 visitors once again turning the state capital into a hotspot for music fans. It is not without reason that in April 2018 jazzopen was declared ‘Festival of the Year 2017’ in the annually awarded events promoter prize, Live Entertainment Award (LEA). 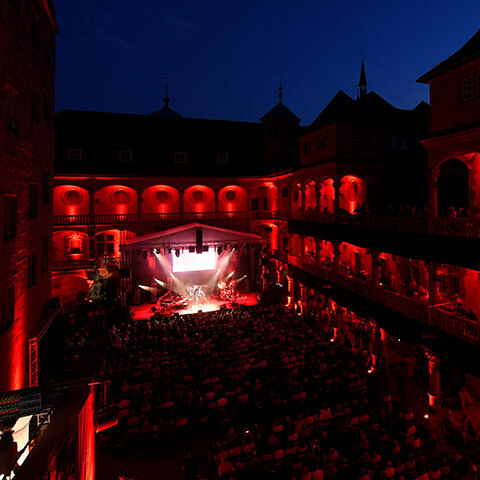 Acts appearing in the courtyard of the Stuttgart’s Neues Schloss include: Bob Dylan and Rickie Lee Jones, (10/7), Sting – “My Songs” and José James (11/7), Jamie Cullum & LP (12/7), Christina Aguilera and Aloe Blacc (13/7) plus Parov Stelar and the Moka Efti Orchestra featuring Severija (14/7). This year, four out of five main acts will be celebrating their jazzopen premieres. On the second main stage in the inner courtyard of the Altes Schloss, the festival is presenting: Mnozil Brass – “Gold” (5/7), Bobby McFerrin – “Gimme 5” and rising stars Jazz Award winners Adrien Brandeis (6/7), Chilly Gonzales & Kaiser Quartet (7/7), Chick Corea – “My Spanish Heart” (8/7) and Sing the Truth featuring Kidjo, Reeves & Wright (9/7). The festival opens with the presentation of the German Jazz Trophy at the SpardaWelt Eventcenter – this year the award goes to Dee Dee Bridgewater (4/7). Other concerts at this venue include: Soul Diamonds XXL (5/7), Marius Neset & Yaron Herman Trio (6/7), Nik West & Ida Nielsen and the Funkbots (9/7), Terence Blanchard & E-Collective (10/7), Pérez, Cohen, Potter Quintet (11/7) and Wolfgang Dauner (12/7). Up and coming talent also has its place in the festival programme. On Sunday morning 7 July there is Jazz for Children– Family Matinée, a programme for children and their families in the SpardaWelt Eventcenter. Throughout the festival on the festival’s club stage in the BIX Jazz Club, the organisers are presenting selected artists in an intimate atmosphere including Jonah Nilsson (4/7), Bill Evans and The Spy Killers! & Snej (5/7), Julia Biel (6/7), Christian Sands Trio (8/7), Jazzmeia Horn (9/7), Judith Hill (10/7), Camille O’Sullivan & Las Migas (11/7), Ghost Note (12/7) and Donny McCaslin (13/7). For the second time, jazzopen will also be presenting free stages open to everyone under the title Open Stages in the Stadtmuseum, on the pavilion and in the cathedral church of St Eberhard. Here concert visitors can enjoy plenty of top-class live music from newcomers, world stars and insider tips. This year the cathedral church of St Eberhard is hosting the duo Fola Dada and Martin Meixner (11/7), accompanied by readings by Msgr. Dr. Christian Hermes. The top-class line-up and the stages in the most beautiful venues of the city are what make this such an outstanding festival. jazzopen is not only transgenerational but transcends musical boundaries in a stylish atmosphere. Details of the whole programme, information about the festival and tickets (with and without catering), can be read online at www.jazzopen.com.